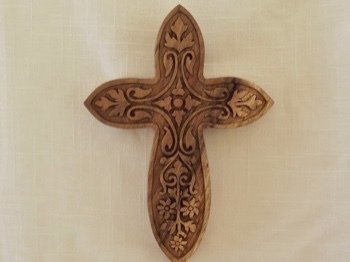 Wonderfully handcarved celtic cross with intricate floral details. 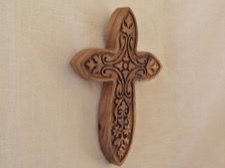 This handsome cross is a beautiful solid piece of raintree wood. It is 10 inches long, 7 inches wide, and 1 inch thick. 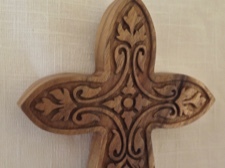 Raintree is an extremely desirable wood for carving. Not only is it considered a sustainable wood source, it also has an amazing grain and rich color. You can enjoy this handmade gift for many years!